It’s New Years Day 2016; the start of a new calander year for us all. Despite a very late night watching a film with my family into the ‘wee small hours’, the body clock kicked in and wouldn’t let me have a lay in, sadly, so it was time to get up, have breakfast and create my first dish of the new year then! 1. Preheat your often to 180℃. 2. Halve the tomatoes. Remove the stalks, seeds and pith from the peppers. Peel the garlic and put all of these into a large, heavy based roasting dish (my Le Creuset roasting pan is ideal for this). 3. Throw in the basil, then sprinkle with sea salt and drizzle with oil. Toss or stir together until all the vegetables are coated in the oil. 4. 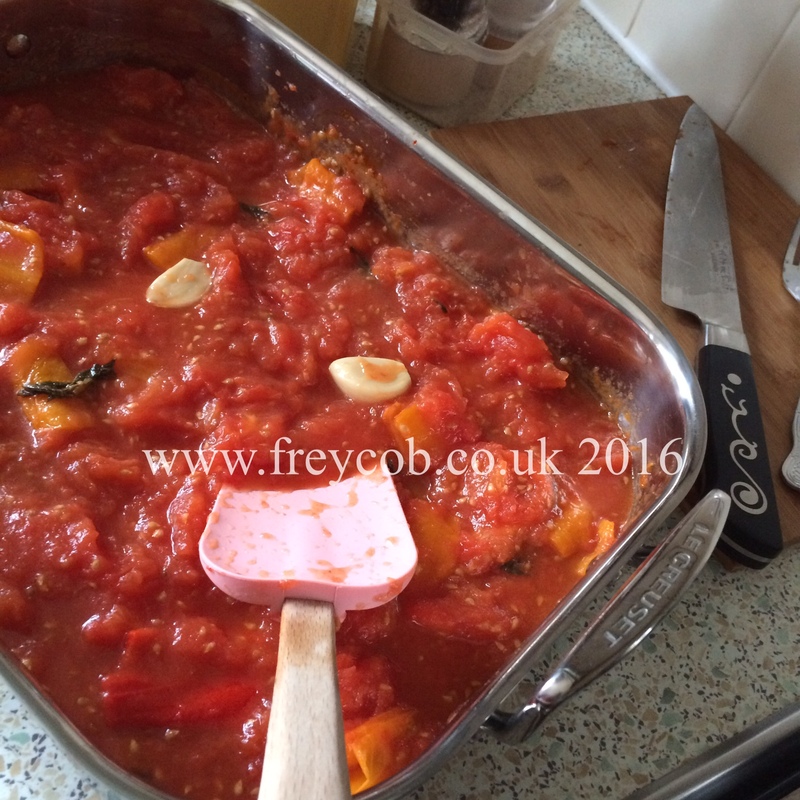 Roast for 30-40 minutes until the tomatoes are soft and pulpy and the peppers and garlic are cooked. 6. Transfer the roasted tomatoes, peppers, garlic etc. from your roasting pan to a blender (I use a Kenwood blender jug attachment on my trusty Kenwood Major Titanium stand mixer). Add the tomato purée, sugar, turmeric and a good grinding of black pepper, then blitz until smooth. 7. 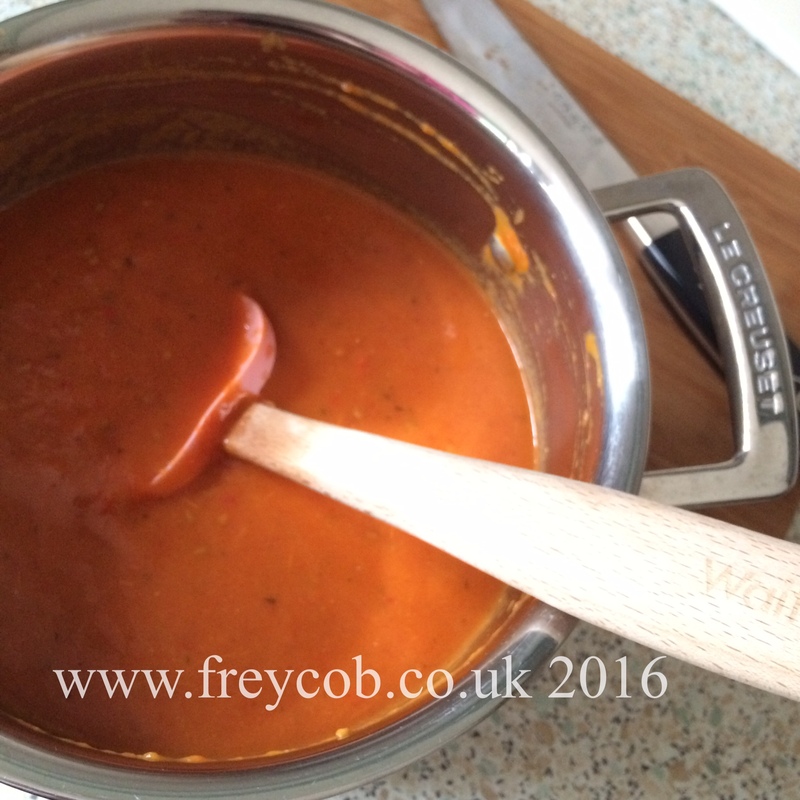 Pour the soup into a saucepan, add the balsamic vinegar and heat through, tasting and adjusting your seasoning if required. 8. 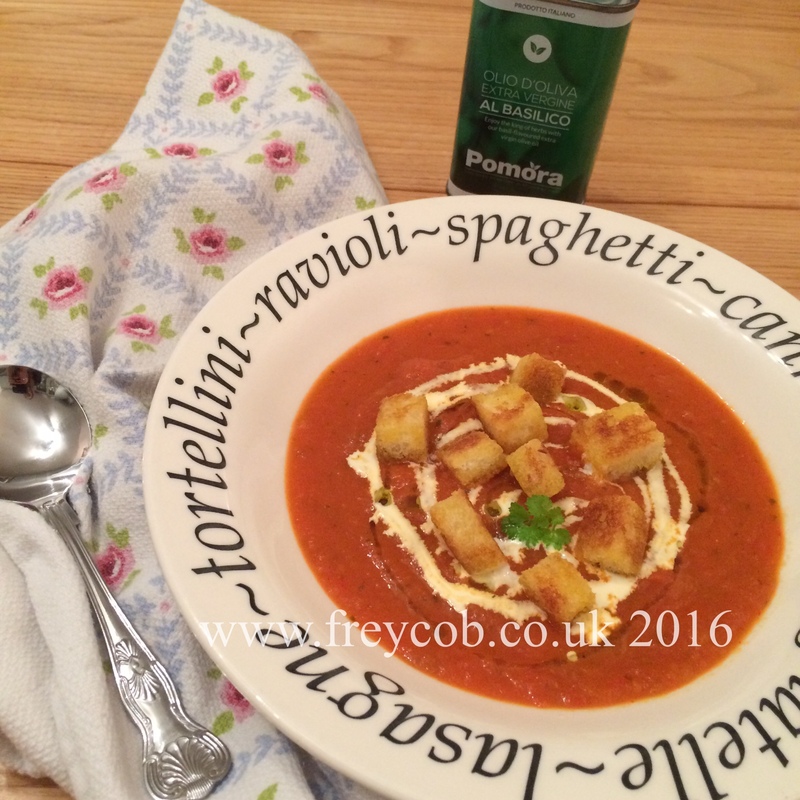 Serve with a splash of double cream and some lovely, crunchy croutons. 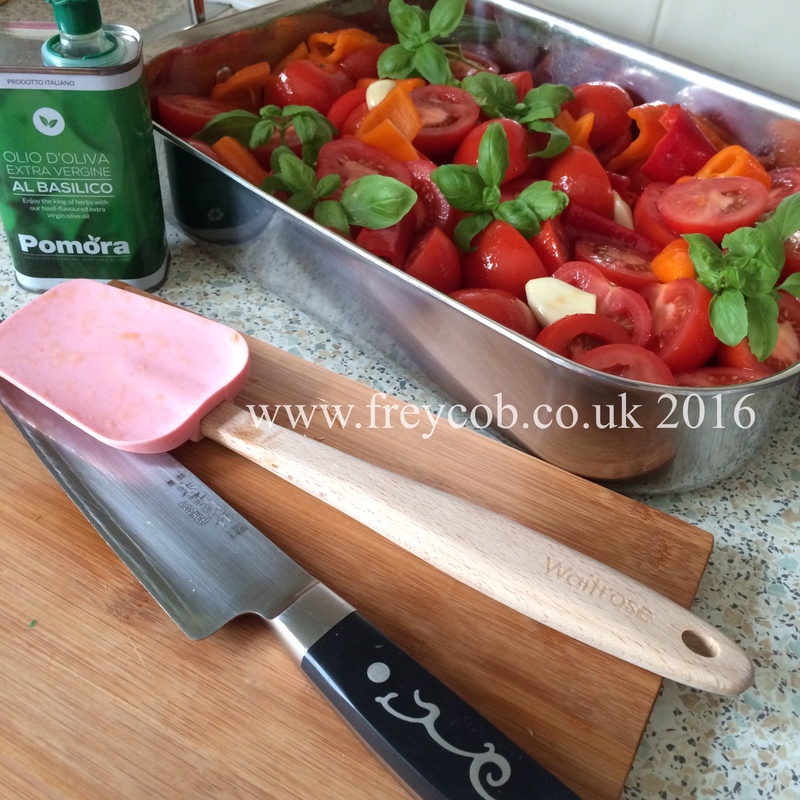 The Pomora Extra Virgin Olive Oil was a free sample I picked up at the BBC Good Food Show. 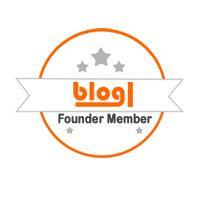 It was not provided in order for me to develop or publish a recipe on behalf of Pomora. Have a happy, tasty new year! I’m a lover of my Kenwood Major Titanium mixer. I have a few attachments that go with it; namely the glass blender jug, the food processor, the mincer and the food mill. 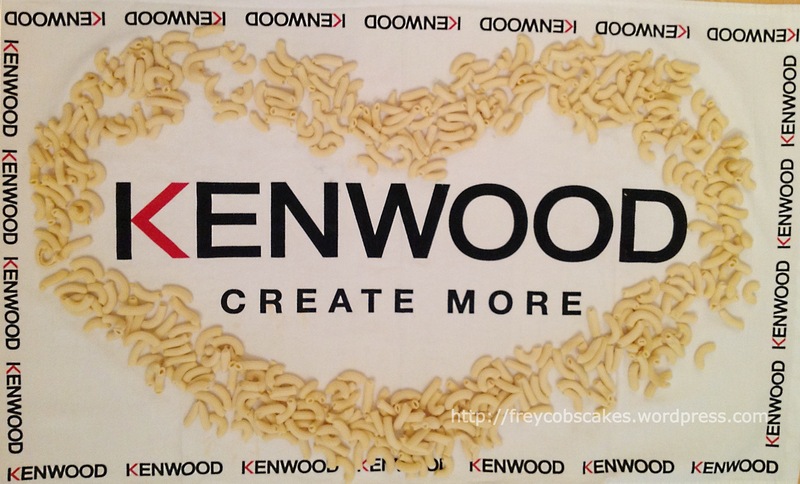 I was lucky recently to be invited to a PR event for the launch of the new Kenwood Chef by Clarion Communications. They’ve launched a new retro look Chef in three new colour combinations; white with either ASTRO BLUE, CALYPSO ORANGE, PINTO GREEN. I (cheekily) asked to borrow a pasta maker for my own Kenwood Major Titanium to try out, which Clarion Communications (PR Company for Kenwood World) very kindly arranged to have sent to me. After it arrived, I was itching for the weekend & my chill out time in the kitchen to arrive. These are easily fitted and secured with a locking nut in front of an internal screw, which moves your pasta dough through the machine from where you drop it into the hopper to the screen at the front. 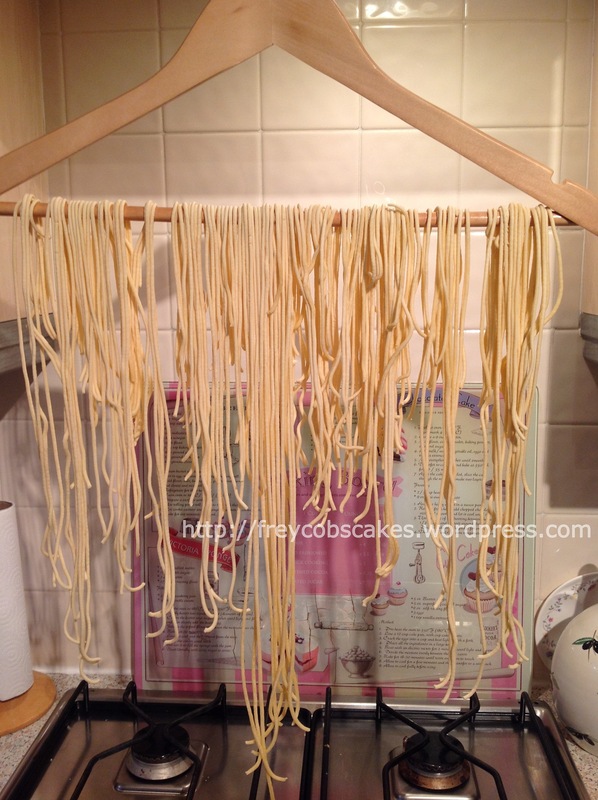 Eager to try this out, I made some pasta & formed it into spaghetti. 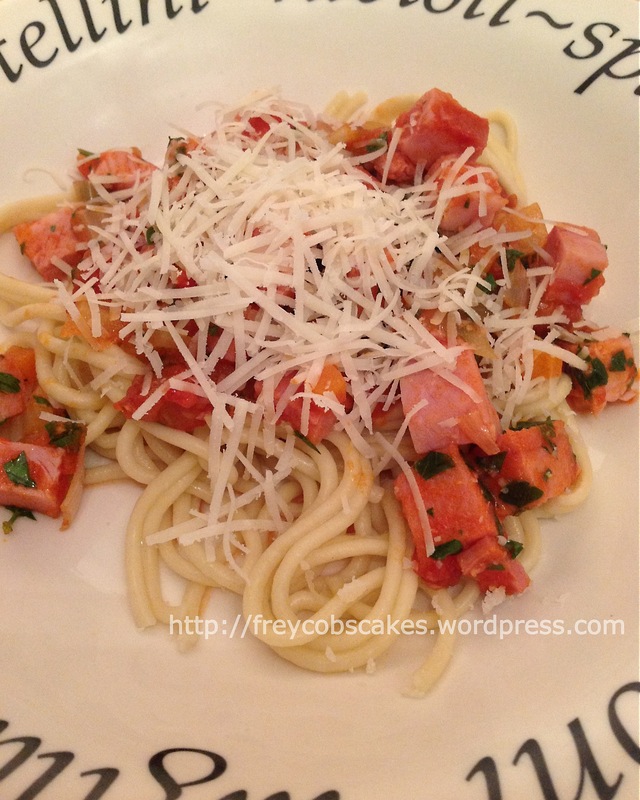 I then bought a very thick slice of ham to make a Milanese sauce to go with my spaghetti for dinner. 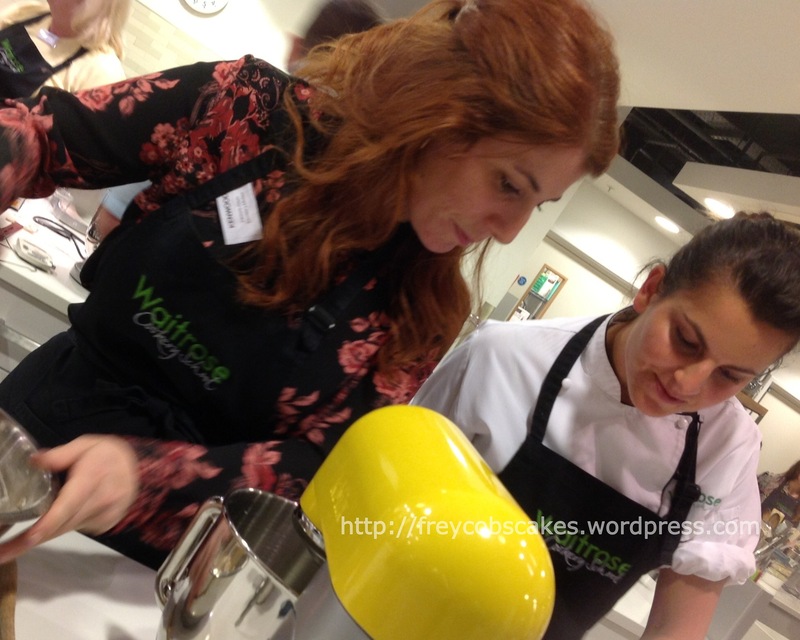 I was lucky enough to be invited to the Waitrose School of Cookery by Kenwood for the launch to food bloggers of their vibrantly coloured Boutique range of KMix. Now I’m a real lover of Kenwood food preparation equipment. Not only do I have the hugely powerful and versatile silver Kenwood Major Titanium stand mixer, but I have the smaller almond coloured KMix hand mixer as well as the almond coloured KMix tri-blade stick blender which comes with 2 tri-blade heads, a whisk and small food processor. To say I was amazed by the vibrancy of the new boutique colours was an under statement. Wow! You almost needed your sunglasses on when we walked into the cookery school to be greeted by the lovely staff from Kenwood, their PR company and the cookery school staff as well as these tables of food preparation finery & co-ordinating props. The magenta is such a girly girl colour. Whilst the blue offers a more masculine alternative. The orange reminds you of somewhere hot & tropical. The yellow is so zingy you can almost sense your taste buds tingling! The green is like a fresh cucumber on a hot day. After cocktails or soft drinks, we were treated to a fantastic macaroon making class using the Italian meringue method. No waiting around for the shells to set with this recipe; you simply make and bake! Between the 24 attendees we made several different flavours, including pistachio, strawberry, apricot, liquorice and black currant. It was heaven in an almond flavoured shell! Being the first time I’ve made them (and quite frankly, this will not be the last time I’ll make them), I was really surprised at just how easy they are to make, especially under the expert guidance and instruction of our lovely chef. I have to say a BIG thank you to the Waitrose School of Cookery staff, Clarion Communications and especially to Kenwood for their generosity afforded to all the participants in offering us an item from their new Boutique Range. I can’t wait for my Magenta hand mixer to arrive so that my daughter can learn to cook and bake alongside me using her own mixer. Carmela consults our lovely chef. Julie hard at work mixing the almond paste. The finished Italian Meringue ready to be mixed with the almond paste. Pistachio, strawberry & lemon macaroons.